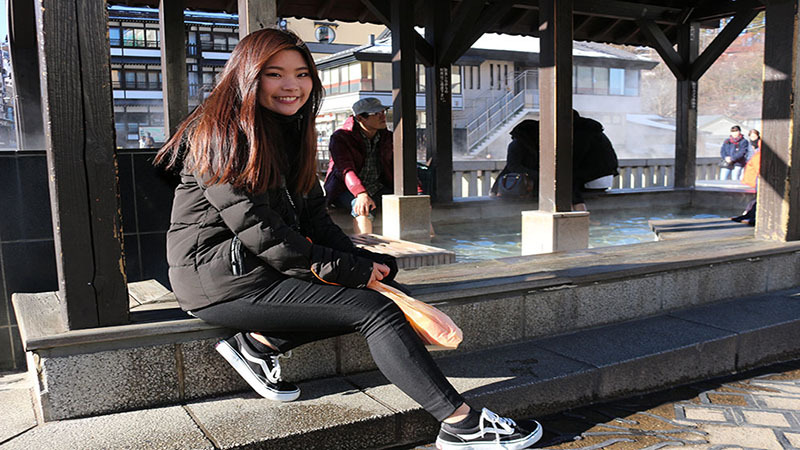 Today I will introduce the trip to "Kusatsu Onsen", the hot spring resort in Japan that you can easily visit from Tokyo by express bus! Kusatsu Onsen is also very close to Karuizawa where the popular outlet mall, Karuizawa Prince Shopping Plaza, is located. 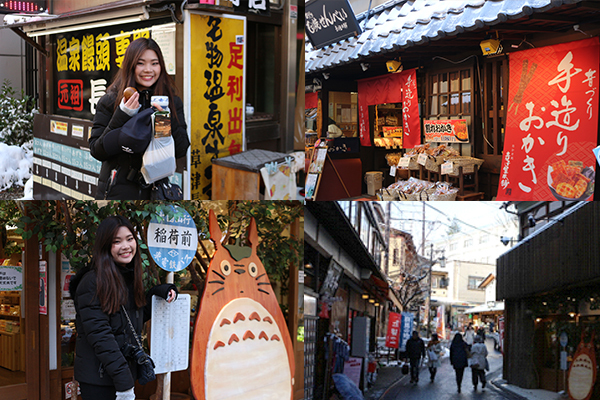 It is only within an hour and a half from Kusatsu Onsen to Karuizawa by bus, so you can enjoy both hot springs and shopping at the same time! Let's check it out! Leave Shibuya Highway Bus Terminal located on the 5th floor of Shibuya Markcity at 8:20 a.m. It takes about 4 hours and a half to Kusatsu Onsen. You can go straight to your destination without carrying your luggage or transferring trains. Bus trip is a lot more comfortable and easier, compared to traveling with trains. The bus arrives a Kusatsu Onsen Bus Terminal at 12:47 p.m. Let's leave my luggage in the coin locker and go sightseeing! 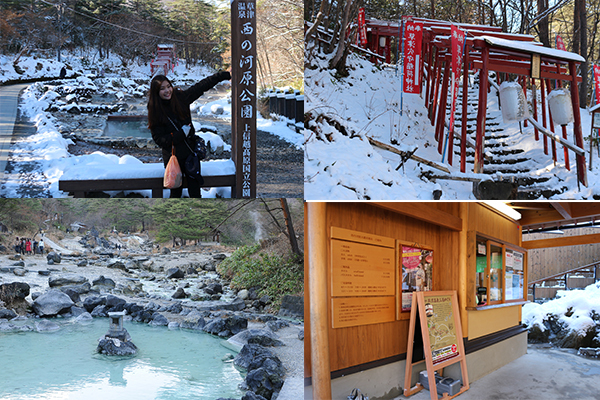 There are a lot of public hot springs where anyone can get into in Kusatsu Onsen. One of the public hot springs, Shirahata-no-yu, located within 3-minute walk from the bus terminal is open from 5:00 a.m. and it is for free. You will see the landmark of Kusatsu Onsen, Yubatake, in front of Shirahata-no yu. You can visually enjoy Yubatake by watching the steam of hot springs and by smelling the hot springs as well. There is foot bath nearby. Yumomi dance and Performance at Netsu-no-yu, located in front of Yubatake, is also one of the most recommended sightseeing spot in Kusatsu. You can experience "Yumomi" which is a method to bring the temperature of hot spring water down by stirring with wooden planks. You will receive a certificate if you experience "Yumomi". 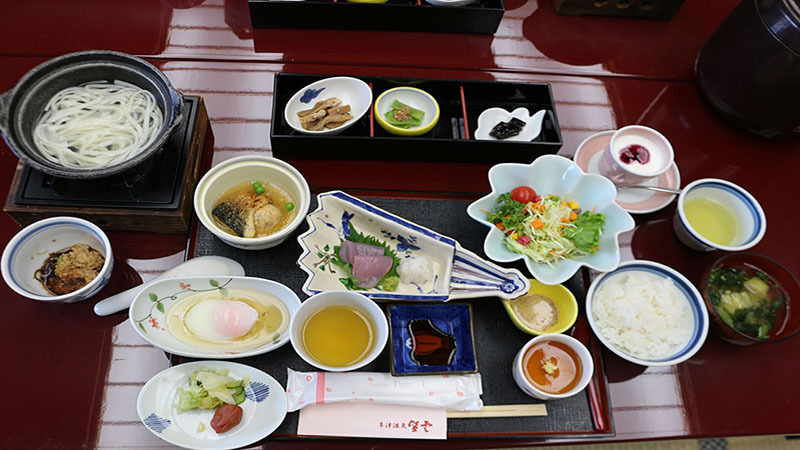 If you get hungry, there are lots of places to eat near Yubatake. 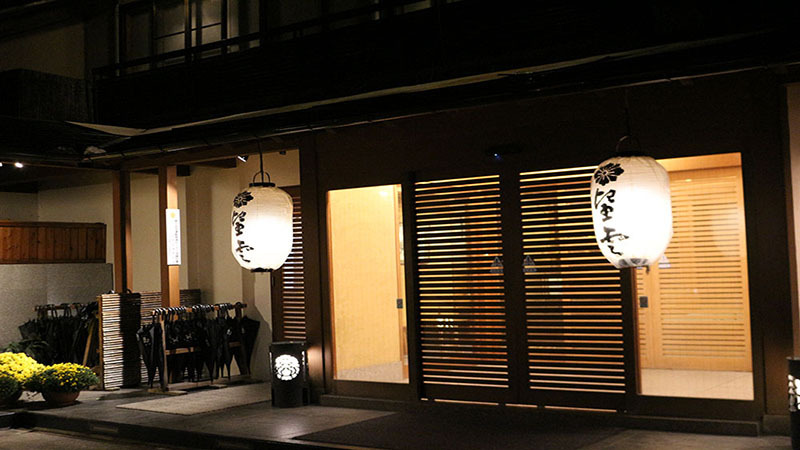 There is a main street within a 3-minute walk from the center of Kusatsu Onsen. There are restaurants and souvenir shops along the main street. 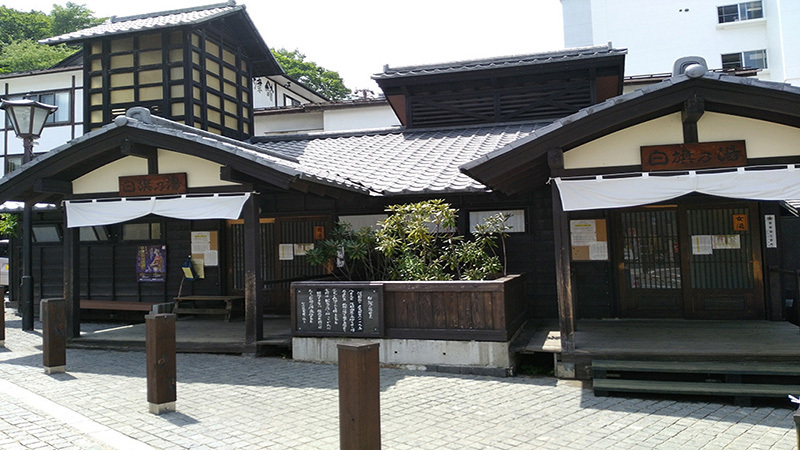 After lunch, let's walk down to Kosenji Temple which is also located near Yubatake. Let me tell you the best scenic spot here. Walk up the stairs for a while and if you turn around and look straight down, you can see the whole Yubatake field from there. I got a very cute good luck charm at the temple. If you want to walk a little bit more, I would suggest walking down to the National Park called, Sainokawara park which is about a 10-minute walk from downtown. If you keep waking through the path along the natural hot spring coming out of the ground, you will find a huge hot spring bath outside, called "Saino Kawara Onsen"
You can enjoy different faces throughout a year. Cherry blossoms in Spring, greenery trees in Summer, tree foliage in Autumn, and accumulating snow in Winter. Let's go to the hotel I am staying tonight. Tonight's hotel is Onsen Ryokan "Boun". 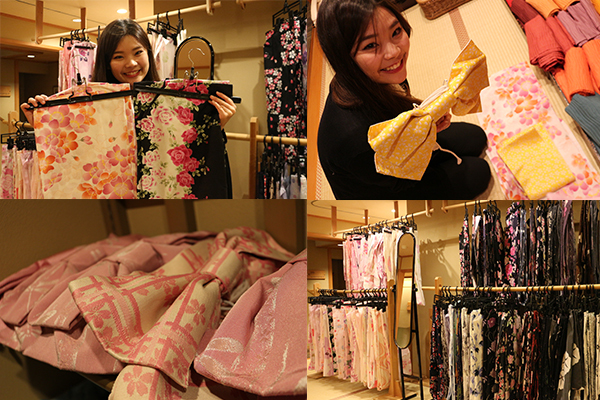 You can choose your favorite Yukata from more than 100 kinds of designs. Let's find the one you like. 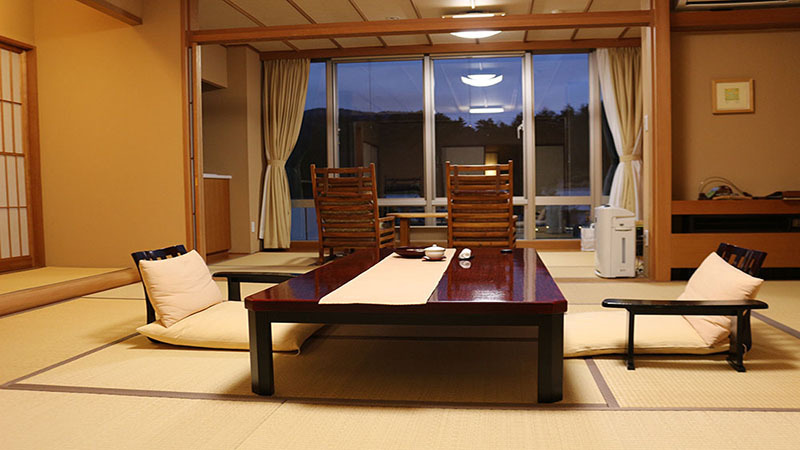 Guest room and public bath are very nice and comfortable, so you can really relax here. If you are not comfortable using the public bath, you can reserve a private bath. So, no worries. You can have a dinner in a private dinning space. Dinner served here is so delicious! You can stay here without meal if you rather eat outside the hotel. Let's go for a walk to Yubatake field after dinner. Yubatake field is lit in different colors at night. The illumination creates a totally different atmosphere and it is so fantastic and romantic. 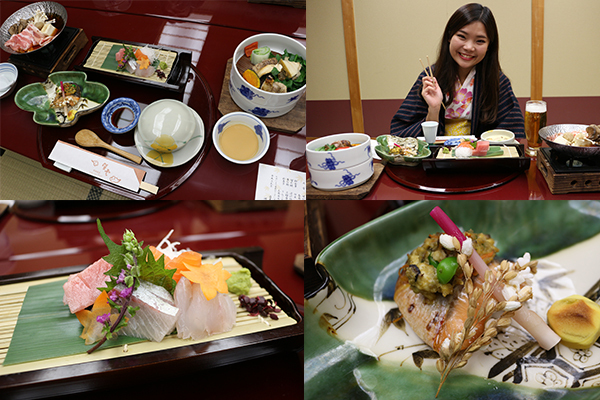 After breakfast, let's leave Kusatsu Onsen for Karuizawa. It is only an hour and a half by local bus. The bus runs only once an hour, so you might want to check the timetable in advance. You do not need a reservation. The bus fare is 2,200 yen one way. Karuizawa Prince Shopping Plaza is located within a 5-minute walk from Karuizawa bus terminal. There are more than 200 outlet shops and popular brand shops. The shopping plaza is huge and surrounded by nature, so it feels nice by just walking around inside the shopping plaza. If you are done with shopping at the outlet, let's leave your luggage at Karuizawa station and rent a bicycle. Cycling to Harunire Terrace and enjoy their café and shops is a popular model route of sightseeing Karuizawa. I found a nice guest house, Bell's Cabin Café and Guest House, located at about 20 minutes from Harunire Terrace. If you have time to stay one more night, please check it out! 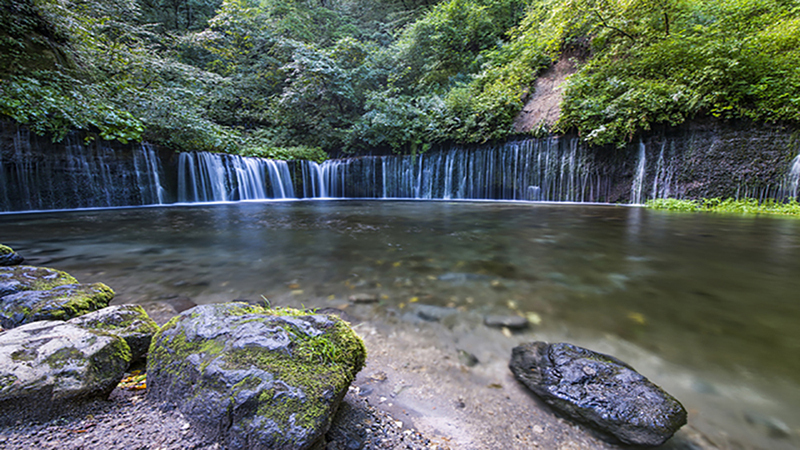 If you would like to go a little further, there is a scenic spot, "Shiraito Falls(also called Shiraito-no-taki)" located within a half an hour by bus from Karuizawa Station. You can enjoy nice fresh air and the smell of the beautiful nature. Rending a bicycle and using a bus is the best way to get around Karuizawa and to save your money and time. Let's get back to Tokyo! 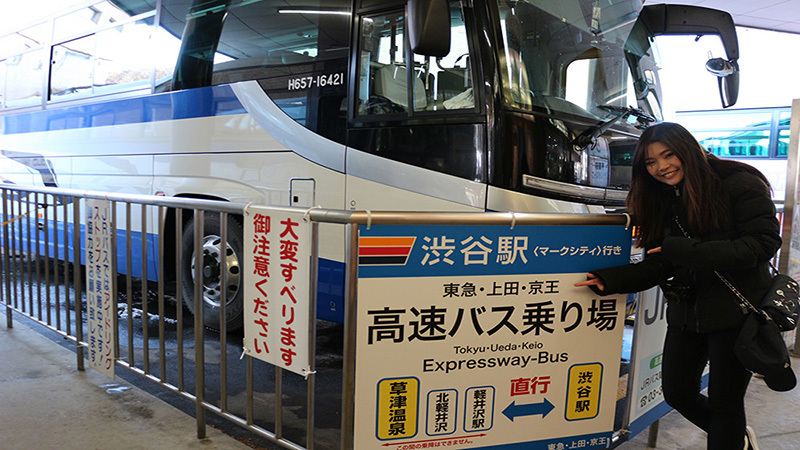 For the return trip from Karuizawa to Shibuya, there are highway buses running every one hour from 4:30 p.m. thorough 6:30 p.m. It takes only about 3 hours. Now, we are back in Tokyo! 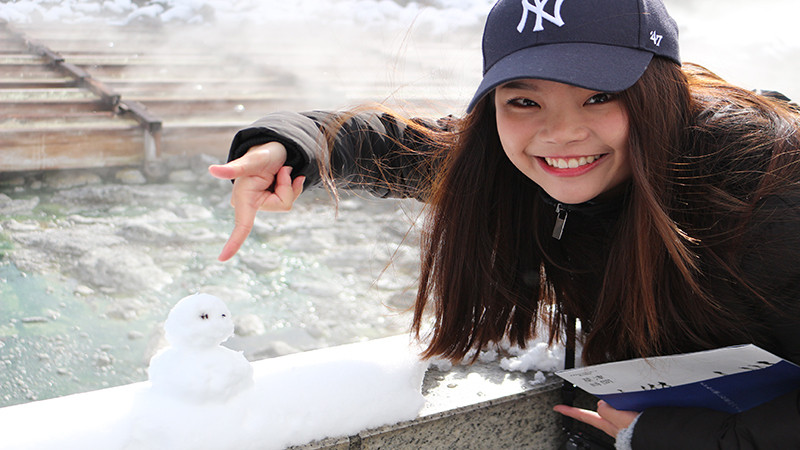 Hope you enjoy a trip to Kusatsu Onsen and Karuizawa.